Huntington Memorial Hospital is a 625-bed not-for-profit hospital that is home to the only level II trauma center in the San Gabriel Valley. 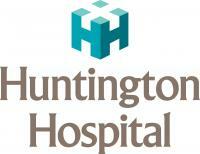 In addition to being granted Magnet® status in 2011, Huntington Hospital has been ranked nationally by U.S. News & World Report in two specialties, and was named the 8th best hospital in California. 04/15/2019 - 13:47 Introducing Dr. Timothy Albert, Executive Medical Director for HHP!